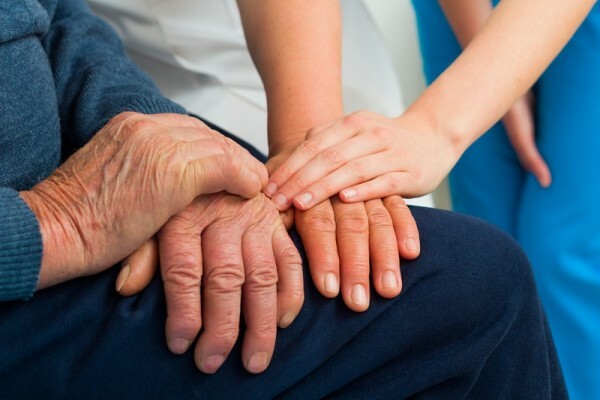 Families with a loved one who is suspected of having Lewy body dementia will want to understand Lewy body dementia symptoms and what they can do. Individuals with symptoms of DLB should contact a physician. Researchers are exploring new approaches that are increasing scientific understanding of dementia with Lewy bodies (or DLB), also known as lewy body dementia. In one study, the transplantation of stem cells into DLB-damaged areas of the brains of mice revitalized those regions and resulted in dramatic improvements in the animals’ cognitive and motor symptoms, raising hopes that a similar process might work in humans. Another group of researchers reported that small doses of the drug nilotinib—originally approved as a treatment for leukemia—were associated with significant positive effects in a small group of human subjects with DLB. Both studies are promising in that they point to new directions for further research into lewy body dementia. The therapies currently available are designed to ease symptoms for a time, but cannot slow the progress of the disease. However, much more work needs to be done before treatments targeting Lewy body dementia can be perfected and made available on a clinical level. Individuals with symptoms of DLB should contact a physician for a thorough medical assessment. Diagnosis of DLB is complicated, and largely involves eliminating other possibilities, such as AD or Parkinson’s disease. 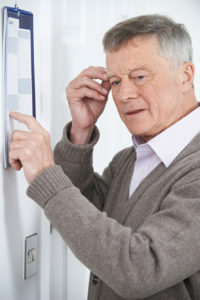 Assessment usually involves a variety of tests, including brain scans to rule out AD, strokes, or vitamin deficiencies; memory tests; and a neurological assessment that includes observation of eye movements, balance, reflexes, and sense of touch, among other factors. There is as yet no known cure for DLB, but certain treatments are prescribed to help ease lewy body dementia symptoms Therapies used to treat Alzheimer’s disease and other types of dementia—such as the drug memantine—may help address symptoms in some DLB patients as well. Cognitive symptoms may respond to AD medications such as rivastigmine (Exelon), tacrine (Cognex), and donepezil (Aricept). Movement disorders may respond to levodopa, a medication commonly used to treat Parkinson’s disease. Problems with depression may be addressed with talk therapy and antidepressant medications. Exercise regularly. Aim for at least 30 minutes a day of aerobic exercise, five days a week. Stay mentally active. Challenge your brain with memory tasks, learn new information, engage in frequent social interaction, and pursue a variety of stimulating activities. Eat well. Consume a healthful, low-calorie diet with plenty of antioxidant-rich fruits and vegetables, whole grains, low-fat meats and poultry, fish high in omega-3 fatty acids, and low-fat dairy products. Reduce stress. Use relaxation techniques such as yoga, meditation, and visualization to lower your stress levels. Get at least seven hours of sleep at night, and get treatment for sleep disorders that disturb your rest. Manage medical conditions, including high blood pressure, diabetes and high LDL cholesterol. aerobic exercise, alzheimer, antidepressant, antioxidant, aricept, blood pressure, brain, cholesterol, cognitive symptoms, dairy, dementia, dementia symptoms, depression, diabetes, diet, donepezil, exelon, exercise, health, high blood pressure, high ldl, high ldl cholesterol, ldl, ldl cholesterol, leukemia, lewy body dementia, lewy body dementia symptoms, low calorie diet, low fat dairy, medical conditions, meditation, memory, memory tests, omega 3, omega 3 fatty acids, parkinson s disease, relaxation techniques, rivastigmine, sleep, sleep disorders, stress, types of dementia, vegetables, vitamin, whole grains.